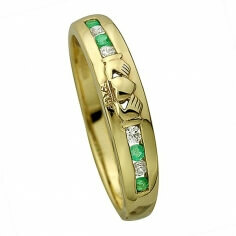 The eternity ring makes a great engagement ring, especially when it adorns the meaningful Claddagh symbol. 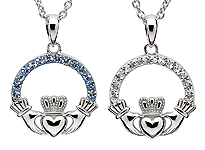 Love, loyalty and friendship are the three values it represents. 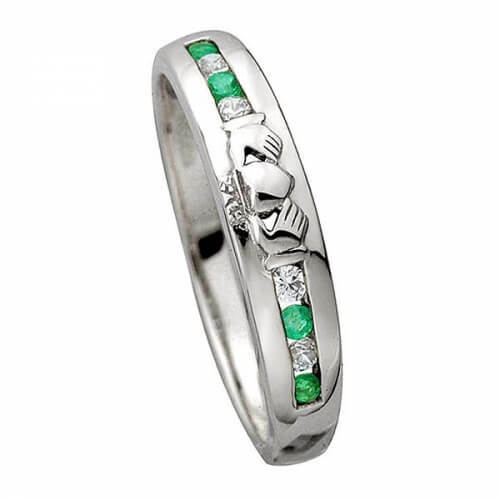 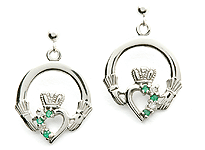 Crafted in cool 14k white gold with emeralds and diamonds separating the central Claddagh design. 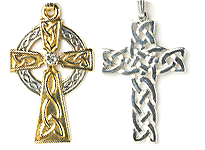 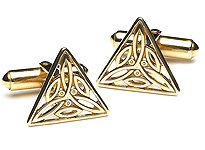 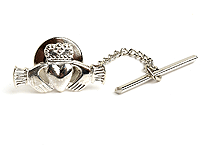 Handcrafted in Ireland and hallmarked in Dublin Assay Office. 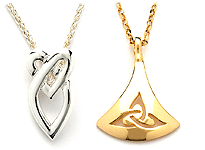 Presented in free luxury presentation box.